Transit shelters are a safe haven from the elements, but they also act as an excellent advertising opportunity for businesses of all types and sizes. As a transit company or outdoor media company looking for revenue generating opportunities by offering advertising options on your transit shelters, it is important to note that not all transit shelters have been created equal. Here at Provincial Sign Systems, we specialize in the design, manufacture and installation of superior quality transit shelters with advertising in mind. Provincial Sign Systems has 45 years of experience in transit shelter expertise. Transit shelters must be aesthetically pleasing, sturdy and durable. They are built to withstand the elements and are a wise investment available to generate revenue for 10 years or more. Selling the rights to advertising on your transit shelters is an investment that will continue to generate revenue while serving the public well into the future. Which Companies Could Benefit from Transit Shelter Signage and Advertising? There are no limitations in terms of the types of companies that benefit from advertising using transit shelter signage. Transit shelter advertising is personal and intimate and is seen at street level by every type of consumer, driving customers towards all businesses from retail stores to insurance and real estate providers. Transit shelters are a smart revenue generating asset that pay for themselves many times over. 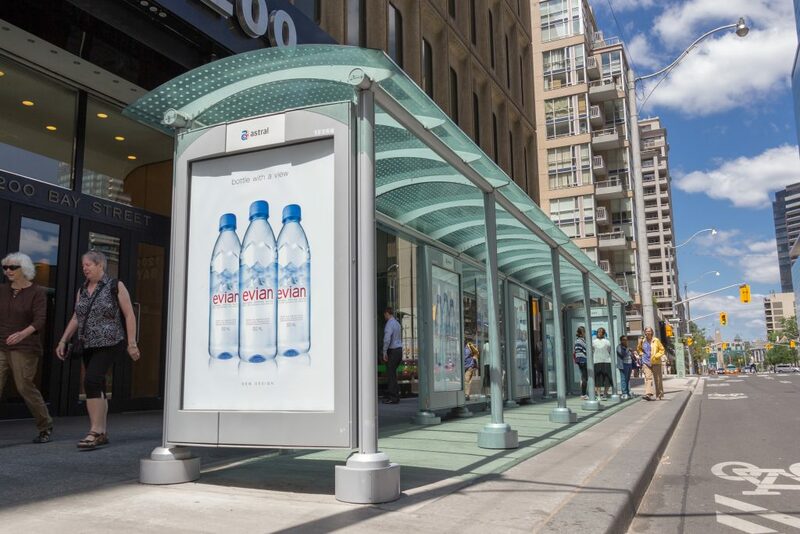 Plus, with popular brands, like Vitamin Water, embracing the power of transit shelter advertising campaigns (their ‘You’re Up’ campaign was all anyone could talk about a few years ago), this type of marketing is more popular than ever before. There is no doubt that there will soon be plenty of savvy business owners jockeying for a spot on one of your shelters. If you are interested in investing in high-quality transit shelters, look no further than Provincial Sign Systems. Contact us now to learn more.